Museums all over the world display masterpieces of art which were found at Asyut. Especially worth mentioning are objects from the late First Intermediate Period/Period of Regions (for that term cf. MORENZ 2010: 35) and the Middle Kingdom, e.g. the wooden models of armed troops from the tomb of the nomarch Mesehti (Eleventh Dynasty; Egyptian Museum Cairo, CG 257, 258; GRÉBAUT 1890-1900, 30-36, Pls. 33-37; BIETAK 1985), the wooden statues (i.a. Paris, Louvre E 11937) from the tomb of Nakhti (CHASSINAT/PALANQUE 1911: 48-49, Pls. 11-12; KAHL 2007: 93-95) or the coffin of Wepwawet-em-hat with a diagonal star clock on its lid (Vienna, Kunsthistorisches Museum ÄS 10135; HÖLZL 2007: 64-65). But also high quality pieces of art from later periods are known, e.g. a double-statue representing Wepwawet and Hathor-Isis (New York, MMA 17.2.5; cf. recently DUQUESNE 2008: 2-3), the cult chamber of the tomb of Amen-hotep (Ägyptisches Museum Berlin, Inv. 31010/1; Cleveland, Museum of Art, Inv. 63.100; Toledo (Ohio), Museum of Art, Inv. 62/64, Zürich, Kunsthaus, Inv. 1963/36; KARIG 1968: 27-34; KAHL 2007: 97-99) and a Graeco-Roman statue of a dog (Paris, Louvre E 11657; KAHL 2007: 153-154). Egyptology has claimed Asyuti workmanship to be one of the best in Ancient Egypt. Toward the end of the First Intermediate Period the workmanship at Assiut was well ahead of anything else being produced at any other site except at Thebes. During the early Nineteenth Dynasty the ancient Upper Egyptian town of Si’ut (modern Asyut) was the home not only of several well-to-do officials of the national administration, but also of an accomplished atelier of sculptors, to whose able hands we owe … admirable pieces of private tomb statuary. In Asjut erreicht das Grab des Gaufürsten Djefai-hapi in seiner stützenlosen Felsenhalle eine Weite, die auch spätere Zeiten nicht übertroffen haben. Today also Asyuti texts of the Twelfth Dynasty nomarch Djefai-Hapi I belong to the most classics: Alan Henderson Gardiner included 282 quotations from Djefai-Hapi’s tomb inscriptions in his Middle Egyptian Grammar (GARDINER 1957). The tomb of Djefai-Hapi I (Siut I; Tomb I) is the most quoted textual source in Gardiner’s Egyptian Grammar after Sinuhe, The Eloquent Peasant and the Teachings of Ptahhotep (Table 1). Table 1: Quotations in GARDINER 1957. Not only modern Egyptology, also the ancient Egyptians esteemed Asyuti products (KAHL 1999; KAHL 2007: 16-18). Texts from Asyuti First Intermediate Period/Period of Regions and Middle Kingdom tombs were copied on monuments and papyri throughout Egypt from the New Kingdom to the Roman Period, such as we see in the tombs of Senen-mut (TT 353; KAHL 1994: 41-42), Puy-em-re (TT 39; MONTET 1928: 68), Mont-em-hat (TT 34; KUHLMANN/SCHENKEL 1983: 73, note 254), Ibi (TT 36; KUENTZ 1934: 161) and others (cf. in detail KAHL 1999) as well as on Roman papyri from Tebtynis (OSING 1998a). Presumably via libraries (KAHL 1999: 283-355), these texts were frequently copied and recopied and thus constitute a continuous tradition. The Asyuti material circulated all over Egypt: in Thebes, Naga el-Hasaya (near Edfu), Memphis/Saqqara, Heliopolis, Sais, Roda(? ), Athribis, Kom Abu Yasin, Tuna el-Gebel and Tebtynis (KAHL 1999: 302-17). 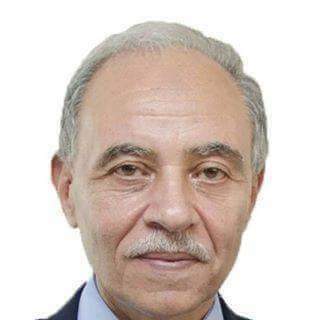 Asyut formed part of Egypt’s cultural memory, that is to say, the stored knowledge and memories of the past which are specific to a given culture and through which a culture creates its identity in an ongoing process (for the conception of the cultural memory cf. ASSMANN 1992). And even ancient people abroad were interested in Asyuti workmanship. Presumably during the Second Intermediate Period statues of persons named Djefai-Hapi were deported to Sudan and the Near East (HELCK 1976: 101-115; VALBELLE 1998: 176-183). They were valued as prestige objects in the Sudan (KENDALL 1997: 24-27; REISNER 1931: 80; DUNHAM 1937-1938: 14, Fig. 7) and in Lebanon (CHÉHAB 1969: 22, Pl. 4.1). These short introductory remarks might reveal the importance of ancient Asyut as a city of culture. But Asyut was also a border town and a wounded city (cf. KAHL 2007: 3-20 for more details). Despite of its location in the center of Egypt and just for that very reason Asyut played the role of a border town on many occasions. The etymology of Asyut’s ancient toponym – %Aww.ti “The Guardian” (OSING 1976: 320, 866, note 1377) – refers to her unique geographical position: Situated to the south of the Gebel Abu el-Feda, the most dangerous passage of the Nile to the north of the First Cataract (KAHL 2007: 14), and at the beginning of the desert road Darb al-Arbacin (“The Forty Days Road”; KAHL 2007: 14-15), Asyut served as a crossroad along the Egyptian trade routes. Asyut was vulnerable and open to incursions, because it provided a direct link to the South. It was therefore a site of great strategic importance for the last five millennia and was involved in wars on numerous occasions. A reflection of these times of war is represented by a dense attestation of weapons and soldiers in Asyut during Pharaonic Egypt. First Intermediate Period/Period of Regions and early Middle Kingdom nomarchs depicted themselves in their tombs with their troops – either as wall decoration as in Tomb IV (EL-KHADRAGY 2008), Tomb N13.1 (EL- KHADRAGY 2007a; KAHL 2007: 81, Fig. 60) and the Northern Soldiers-Tomb (H11.1; EL- KHADRAGY 2006a: 162, Fig. 6) or as models such as in the tomb of Mesehti (GRÉBAUT 1890-1900, 30-36, Pls. 33-37; BIETAK 1985), or they had weapons and models of weapons as grave goods (e.g. Tomb III; publication by Monika Zöller in preparation). Hitherto unique is a representation on the walls of Tomb III (KAHL 2007: 76, Fig. 53): Here, Egyptian soldiers are depicted fighting against each other. Bows and arrows (D’AMICONE/POZZI BATTAGLIA 2009a/2009b: 54) were used as grave goods for First Intermediate Period/Period of Regions burials. Soldiers are well attested by the so-called Salakhana stelae, votive stelae, which date from the New Kingdom to the Late Period (DUQUESNE 2009: 575-594). Also the census register Papyrus Oxyrhynchos 984 recto from 89/90 CE mentions several soldiers (cf. infra 5.9.1). Several horizons of destruction are attested for Asyut – the earliest one at the end of the First Intermediate Period/Period of Regions, when a civil war between Herakleopolis in the north and Thebes in the south severely affected the country. Asyut was obviously the last bastion of the Herakleopolitan kingdom and the final theatre of war, since Asyuti local rulers were the closest allies of Herakleopolis. These events must have occurred between 2063 and 2045 BCE (KAHL 2007: 6). Also during the Second Intermediate Period Asyut and its surrounding area marked the border of a divided Egypt (BIETAK 1994: 27). There is circumstantial evidence that either the Hyksos or the Kushites plundered the Asyuti necropolis and eventually even the city itself (KAHL 2007: 10). During the Assyrian invasion of Egypt, in the first half of the seventh century BCE, the Assyrian ruler Assarhaddon installed a governor in Asyut, who was driven away by dissident Kushites or Egyptians. Assurbanipal subsequently reinstalled this governor, but the governor himself finally revolted against his protector (Prism A; ONASCH 1994: 36, 55, 118-121). Asyut was once again the center of a civil war. From 196 to 195 BCE the Theban rival king Ankh-Wennefer seized Aswan in the south of Thebes and advanced to the region of Asyut in the north. He brought his fight for Egypt’s independence from the Ptolemaic sovereigns to the Asyuti region: A village near Asyut was depopulated. Once again Asyut was the critical point of separation in a civil war: Since we have no information that Ankh-Wennefer was able to move further to the north, we may suppose that he was driven back by the Ptolemies after a battle near Asyut (MCGING 1997: 299-310; VEÏSSE 2004: 11-26; KAHL 2007: 12). In Late Antiquity Asyut was threatened and plundered by Blemmyes and other Nubian invaders (cf. KAHL 2007: 12). Asyut’s function as a border town is also reflected in the double vizierate during the New Kingdom as well as in Ptolemaic and Roman provincial administration. Both times Asyut marked the northern border of the southern administrative districts (KAHL 2007: 13). 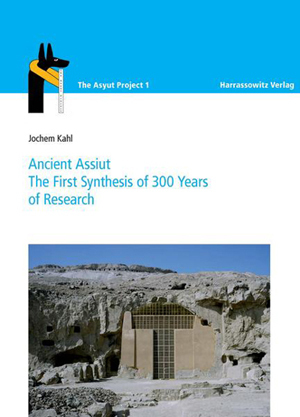 Jochem Kahl, "Asyuit and the Asyut Project", in: Seven Seasons at Asyut: First Results of the Egyptian-German Cooperation in Archaeological Fieldwork, The Asyut Project 2, Edited by Jochem Kahl, Ursula Verhoeven and Mahmoud El-Khadragy, Harrassowitz Verlag, Wiesbaden, 2012, pp. 1-29.